Please join me in contributing to the campaign to make David Holt’s State of Music a public TV series. Making a series of this outstanding public TV program all starts with you. 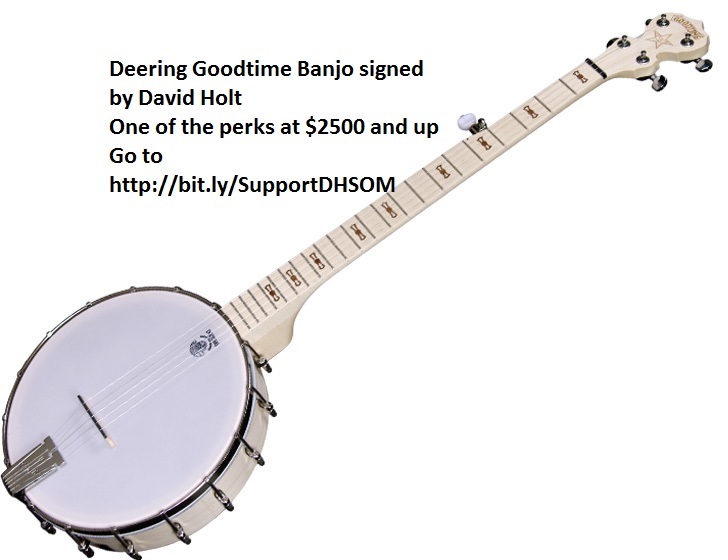 Please join me in this important effort for bluegrass, old-time, and folk music. I have known David Holt for more than 32 years now, since we first worked together on Fire on the Mountain for The Nashville Network. Nobody, and I mean nobody, has a great skill in introducing roots music to broad audiences through the mass media of television and radio. On January 29, David proved that once again when the one-hour special of David Holt’s State of Music debuted on UNC-TV to more than 32,000 live viewers of North Carolina public TV. Subsequently aired on Blue Ridge Public TV in Virginia, David Holt’s State of Music permits him to introduce people to roots music today, both rising stars like Rhiannon Giddens and Josh Goforth and established masters such as Balsam Range, Bryan Sutton, Bruce Molsky, and the Branchettes. The success of that special has created an amazing opportunity for David, the non-profit Will & Deni McIntyre Foundation which produces it, and all of us who care about folk music. UNC-TV wants David Holt’s State of Music to become a series for national public television distribution! The potential is enormous, but so are the costs. Raising the $484,000 needed to make it happen will take the contributions of foundations, corporate sponsors, and individuals, like you. Your opportunity exists right now! You can make this amazing opportunity for roots music on public TV real. 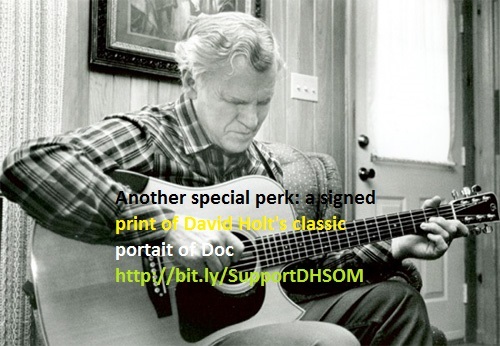 Regardless of whether you donate, please help spread the word of David Holt’s State of Music and our campaign. These opportunities don’t come along every day.